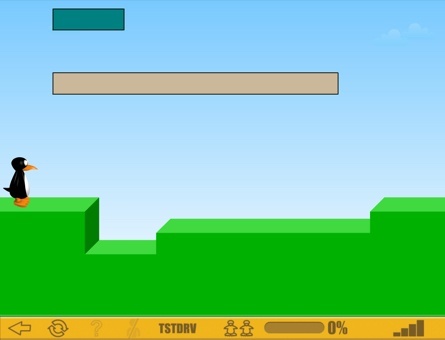 "As a teacher I enjoyed using ST Math because it challenges our students with fun games on how to solve math problems. Children enjoyed singing the songs and getting to know JiJi! They enjoyed the visual games that thoroughly addressed kindergarten readiness." ST Math Pre-K combines a proven visual learning software component with teacher-directed activities and more to create a multi-modal math education experience. In addition, it offers a comprehensive math curriculum that meets the developmental and learning needs of your youngest students. 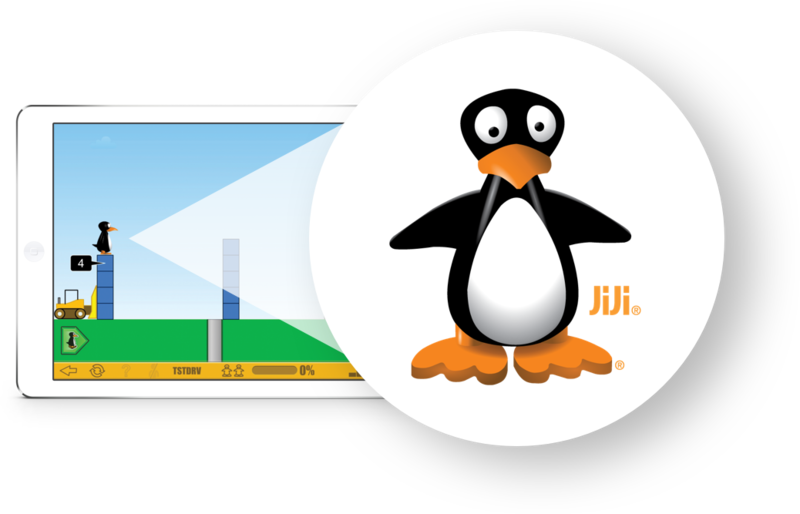 JiJi is the beloved penguin in the ST Math software games. 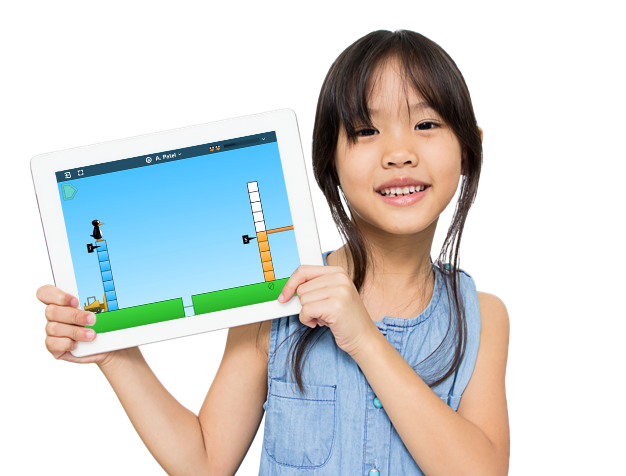 Students help JiJi overcome obstacles by solving math puzzles — and they associate JiJi with the thrill of challenge and success. 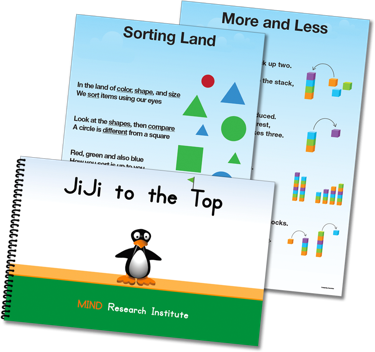 JiJi crosses the screen every time a child demonstrates understanding of a math concept, leading the student to the next challenging puzzle. "I would like to thank JiJi for making my math journey fun and exciting." "JiJi helps me on things I had trouble with in the classroom." "JiJi means a lot to me. ST Math is the greatest website I’ve ever seen." ST Math Transitional Kindergarten and Pre-Kindergarten are comprehensive, blended learning programs for schools offering math instruction before kindergarten. Early learning students love the visual math puzzles and teachers receive the support they need through step-by-step activities that connect math instruction across multiple modes of learning. Visual math software where students develop problem solving and critical thinking skills, and an intrinsic motivation for math learning. Step-by-step teacher’s manuals to help make connections with math concepts. 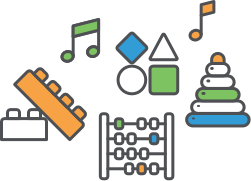 Classroom materials for teacher-directed multisensory hands-on activities, chants, and songs that complement and support the self-paced software games. The programs address the unique developmental needs of young children, helping them to to develop growth opportunities called for in the Preschool Learning Foundations and beyond. 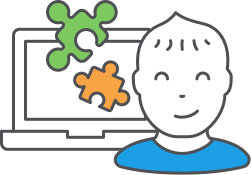 The ST Math interactive software program introduces core math concepts visually, using a neuroscience-based approach that activates the brain’s innate reasoning abilities. 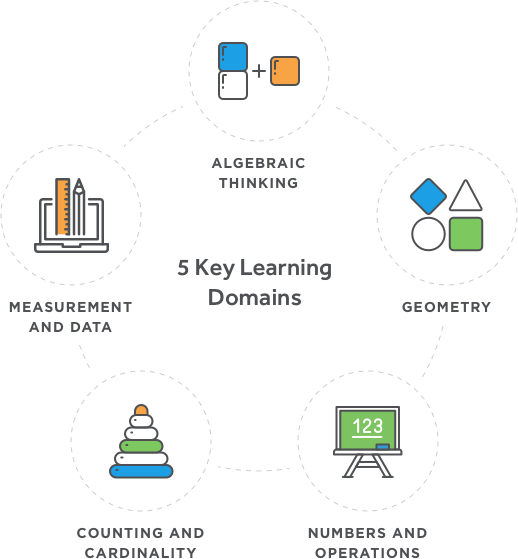 These animated math games guide young minds through an optimal cognitive learning path and expose them to all 5 key learning domains. The comprehensive suite of activities develops motor, verbal and auditory skills essential for early childhood development, regardless of skill level or language background. Easy-to-follow online teacher’s manuals include weekly plans that promote mathematical talk, provide guidance to connect math concepts, and support for dynamic teaching throughout the school year. While learning key math concepts, students practice essential literacy and language skills by reading stories, singing songs and learning rhymes. 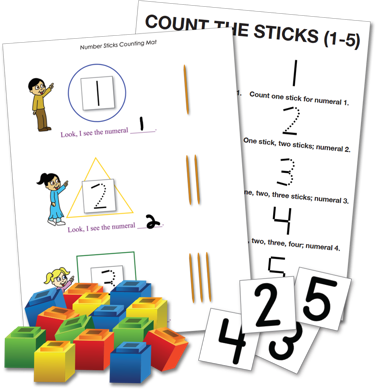 Children explore and investigate with hands-on resources to build deep conceptual understanding and number sense. Learning shouldn't just happen in the classroom. Teachers can assign students to practice math skills with activities made for the whole family. Ideas to extend learning throughout the day enables students to explore math concepts as they play, during meals and even transition times. Graphically rich, interactive virtual manipulatives help students develop a conceptual understanding of abstract concepts. If you have questions, or would like to explore purchasing options, contact sales.